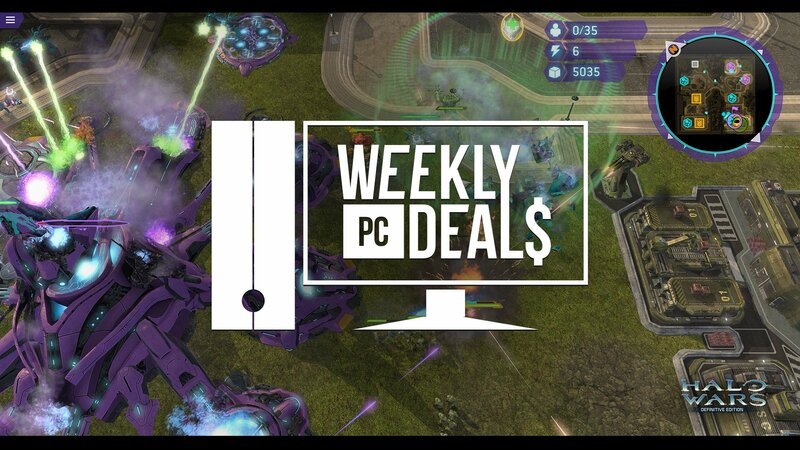 Halo Wars is getting a rare free weekend on Steam, while the full Fallout catalog is on sale throughout the PC gaming space. October is halfway over and the gaming retailers have stepped forward with deals from across the PC gaming world. With Fallout 76 right around the corner, various retailers are hoping players will lock themselves in their bunkers with the best of the Fallout series. There are full Fallout franchise sales happening on Steam, the Humble Store, Direct2Drive, and more, so pick your favorite retailer and go! Steam is also holding a free weekend that doesn't come along very often. Halo Wars has been out on PC for quite some time, but for those who still aren't sold on the idea of an RTS set in the Halo world, this is the weekend to try out the full Halo Wars: Definitive Edition. If it grows on you, it's on sale all weekend. Find the full list of Fallout deals available during the Direct2Drive Fallout Sale. Pay $4.99 and receive F.E.A.R., F.E.A.R. 2: Project Origin (w/ Reborn DLC), and F.E.A.R. 3. These activate on Steam. Find more of Disney's best games, including numerous Star Wars games and a few LucasArts gems, in the GOG.com Disney Week Sale. Green Man Gaming is discounting the best action games out there. Find the full list of games featured in the Green Man Gaming Best of Action & Adventure Sale. Pay $10 or more for War for the Overworld (w/Heart of Gold DLC), Osiris: New Dawn, Kentucky Route Zero: Season Pass Edition, RWBY: Grimm Eclipse, Phantom Brave PC, Tricky Towers, and a one-month Rooster Teeth FIRST subscription. These games activate on Steam. Bethesda is dropping the bomb. Find the full list of games featured in the Humble Store's Fallout Sale. Find the full list of games featured in the Humble Store's Far Cry Sale. Find the full Bandai Namco catalog, including the rest of the Dark Souls series and Ni No Kuni II, on sale during the Humble Store's Bandai Namco Sale. The full Hitman catalog is on sale this weekend. Check out the full list of games featured in the Steam Hitman Sale. The full Fallout catalog is on sale this weekend. Check out the full list of games featured in the Steam Fallout Sale.